This morning we were lucky enough to be invited to the National Sea Life Centre in Birmingham to take part in an Octonauts mission. The Octonauts are children’s television characters who have underwater adventures and rescue sea creatures who are in trouble. So a mission at the National Sea Life Centre is ideal! Libby isn’t really into television and I’ve never really pushed her because a lot of the children’s television programmes don’t really hold that much educational value in my opinion. However, having heard a bit about the Octonauts today, I will be getting hold of a DVD or checking it out on television, because I think that marine life rescue – and animal rescue as a whole – is a really important lesson to learn. Despite not knowing the characters, Libby was pleased to see them today and both girls had a fantastic time at the Sea Life Centre. Here we are meeting Peso Penguin. 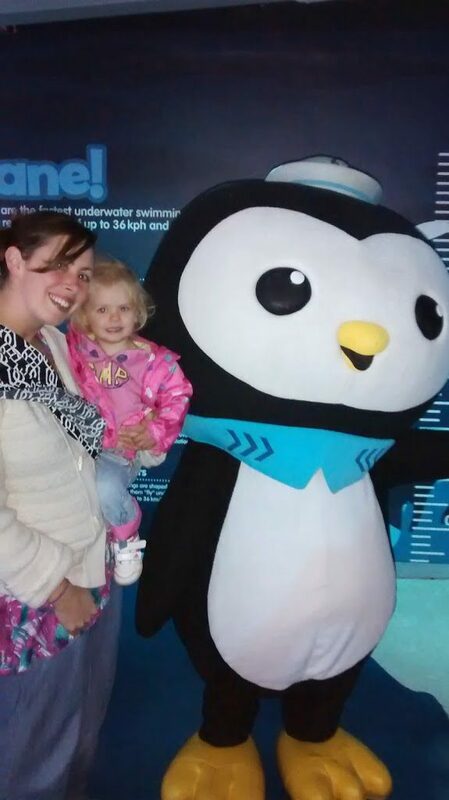 We’ve always loved the Sea Life Centre, and Libby has been on numerous occasions but it is quite a while since we last went and there are some new attractions there. 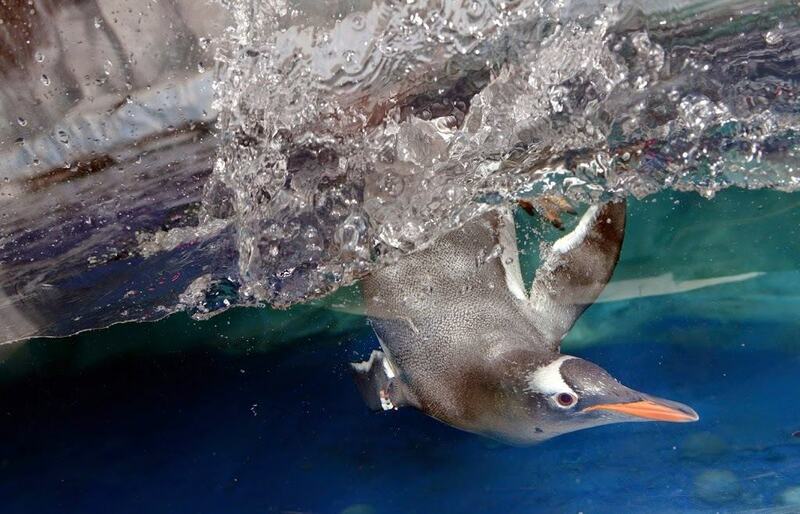 Of particular note is the new Gentoo penguin exhibit. You can see the birds both on the surface and underwater as they swim past the windows. I made numerous attempts to take a photo with both Libby and the penguins, but failed dismally, so here is a fabulous photo from our press pack of one of the penguins. The Octonauts are at the Sea Life Centre from now until the 30th November and after that, the penguin area will be transformed into a winter wonderland from the 13th to the 24th December. There will even be a Santa’s grotto with presents for children who have been good. I can’t think of a better place to see Santa than in an icy winter environment with exciting interactive things to do. One of the things I love the most about the Sea Life Centre is their commitment to marine conservation. I do think that educating children about marine life in places like the Sea Life Centre is exceptionally important, this is the sort of thing that inspires the marine biologists and conservationists of the future. However, the ongoing conservation work that they are doing is equally, if not more important as it will preserve certain species from extinction all together. The Sea Life Centre are champions for the need for plastic-free oceans as well as other conservation projects. This was further reinforced in the 4D Happy Feet film that they are currently showing and is another important message for children. Both girls had a thoroughly enjoyable day, even Lia loved all the colours of the fish and managed to stay awake for almost the whole morning, which is pretty good for a five month old. 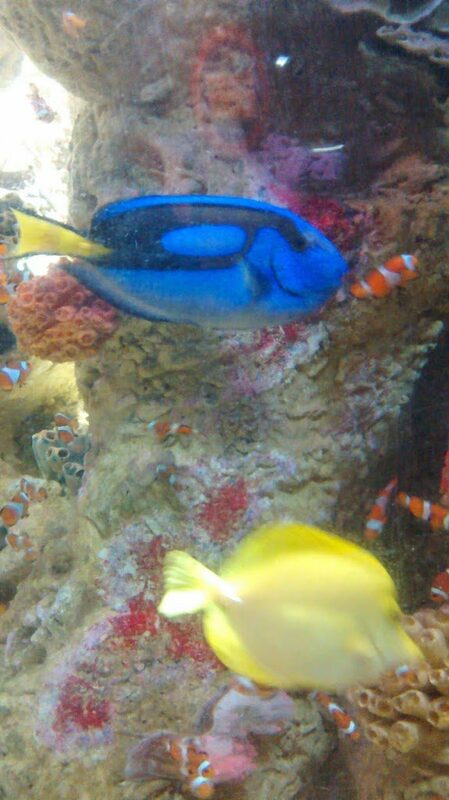 But who wouldn’t be fascinated by fish as beautiful as this? I am officially terrible at photographing fish. Please note, the National Sea Life Centre were kind enough to let us have a look round for free so we could tell you all about the Octonauts’ mission. All views, opinions, children and terrible photos of fish are my own. Next Post Doddle for Dogs Review and Giveaway!